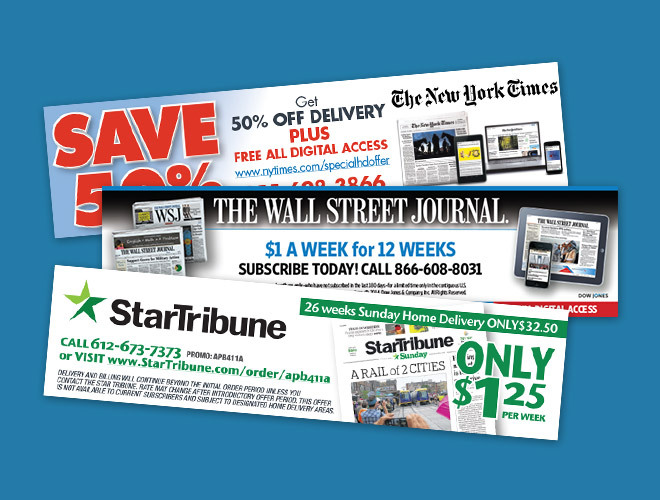 The NSS Point-of-Sale Coupon Program targets the consumers most likely to subscribe to your newspaper – single copy newspaper purchasers. These potential subscribers are prequalified and willing to pay for your product. Target these consumers already buying your newspaper by having an offer coupon printed at the point-of-sale and personally handed to them by the checkout cashier. Those consumers are most likely to subscribe to your newspaper because they have made the emotional decision to purchase it, they see value in the print edition, and they are already paying a higher single copy price. Remind them it would be more affordable to subscribe and capture their attention with a well-crafted incentive. The Right Offer. The Right Prospect. The Right Time. NSS has developed a strategic partnership that makes this possible in most markets.